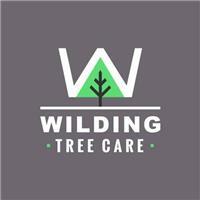 Wilding Tree Care - Garden Services, Tree Surgeon based in Brighton, East Sussex. At Wilding Tree Care, we pride ourselves on being able to offer a full range of arboriculture services to both private and commercial customers. Tree pruning, tree felling, crown thinning, dead wooding, crown lifting, hedge cutting and tree inspections. With over 12 years of experience our highly qualified and dedicated tree surgeons provide our customers with a reliable and high quality service at a competitive price.